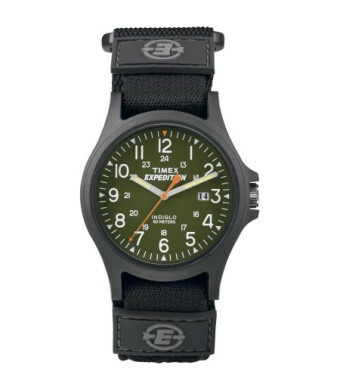 Strap dimensions 20mm x 8.0\"
Keep time even in rugged environments with the Timex Men's Expedition Acadia Watch. 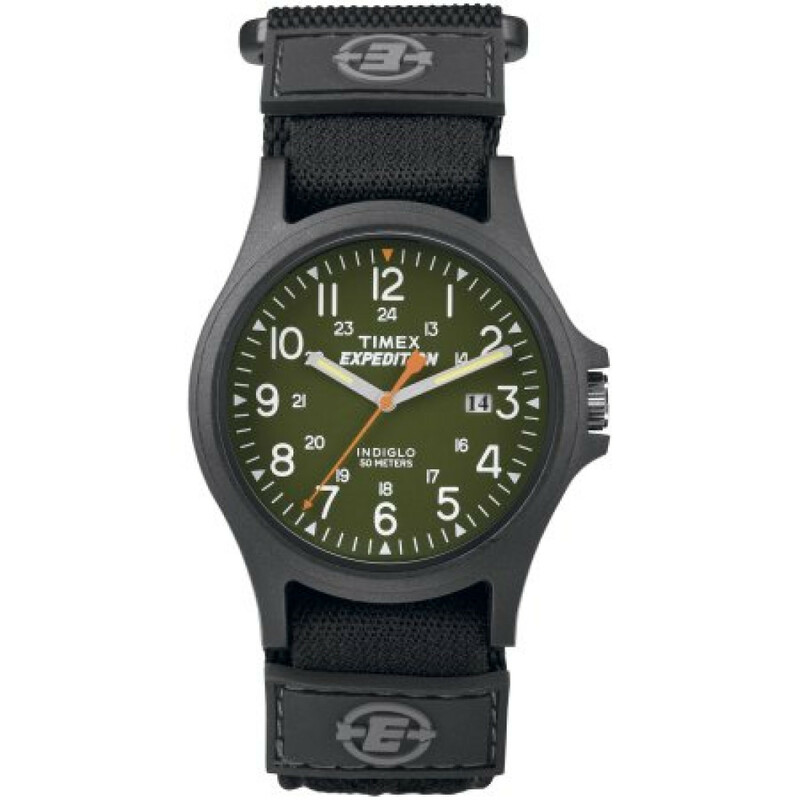 A military-inspired twist on the iconic Camper watch, it is a lightweight, classic outdoor utility timepiece made for the no-frills adventurer. The Indiglo night light illuminates the hands, green dial and Arabic numerals, making it easier to tell the time. A window at the 3-o-clock position shows the current date. The black resin case is sturdy and lightweight as well as water-resistant to depths of up to 165' (50m). 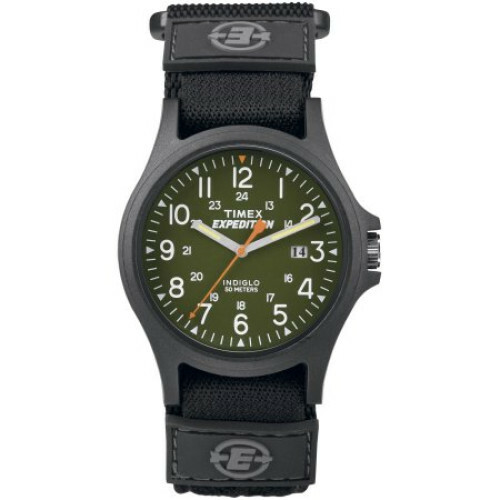 This Timex expedition Acadia watch comes with a black fast wrap strap for a snug and comfortable fit. Heritage styling gives it a classic look to go with its modern features.